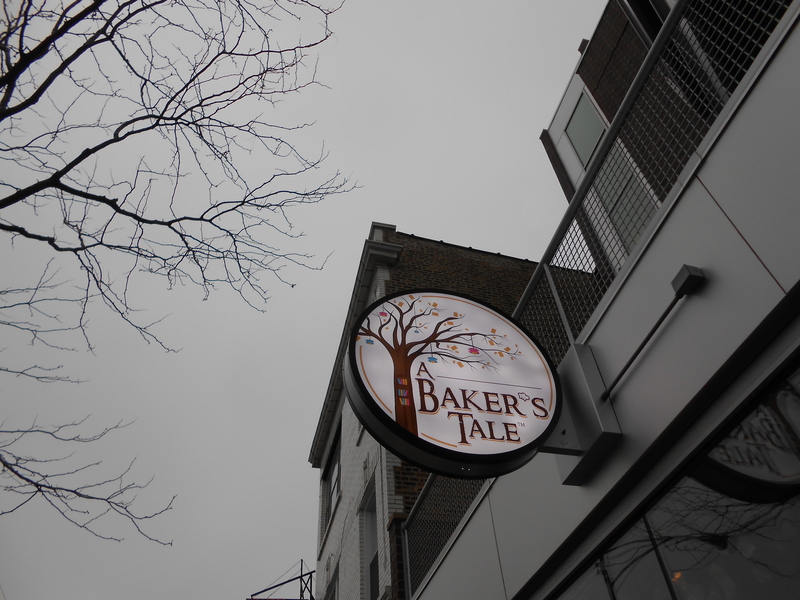 A Baker’s Tale is a cafe/bakery with a whimsical Alice and Wonderland theme located at 2127 West Division Street in Wicker Park. I met up with a friend for lunch and of course a cup of tea. I loved the story book fairy tale atmosphere with the blooming tree in the window with it’s tea cup lights and their fun black and white striped and blue chandler bathrooms. I ordered their roasted almond tea. 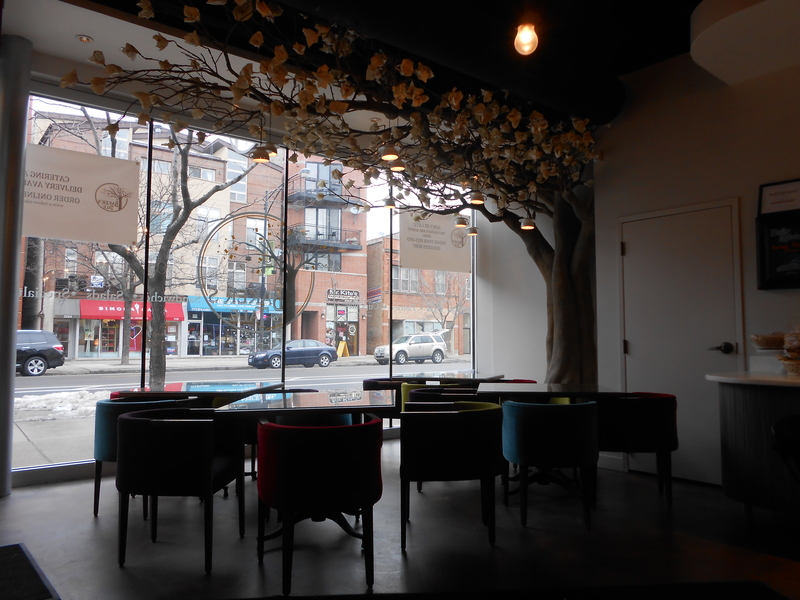 All of their teas are loose leaf teas from Benjamin Tea Inc. The Roasted Almond Tea includes almond bits, apple pieces, beetroot pieces, and hibiscus blossoms. There are little tins at the check out counter where you can pick them up and smell them or see what all is included in the tea. 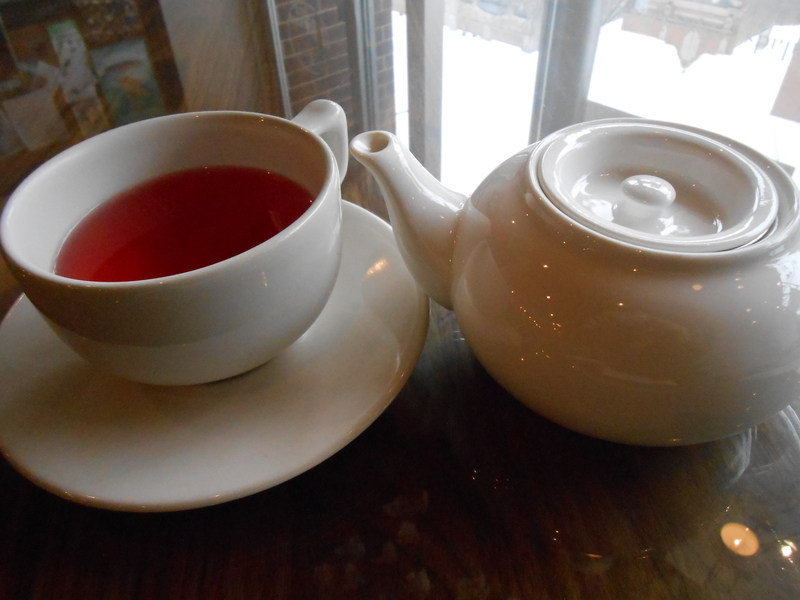 I picked the roasted almond tea because to me it smelled amazing, like a sweet dessert. They gave me a pot for the tea and told me to let it sit and steep for 10-12 minutes. When it was finished it had a lovely pink color to it and the flavor was a lot lighter then how strongly it smelled, but I enjoyed it. 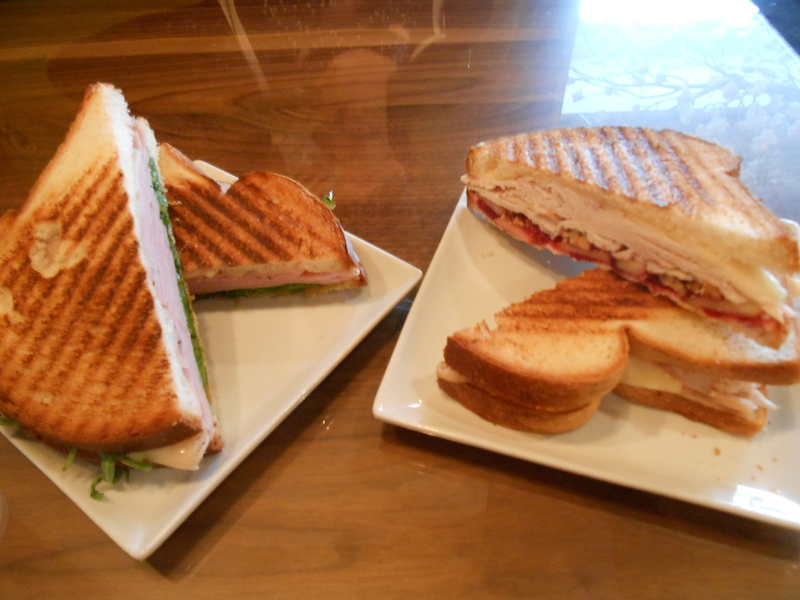 I also ordered a ham sandwich while my friend ordered the turkey. Since it came cut in half we traded, so I got to try both and enjoyed them both. The ham sandwich came with white cheddar, pineapple compote and arugula. The Turkey came with white cheddar, cranberry compote, apple circles, and candied pecans. We both got ours toasted. 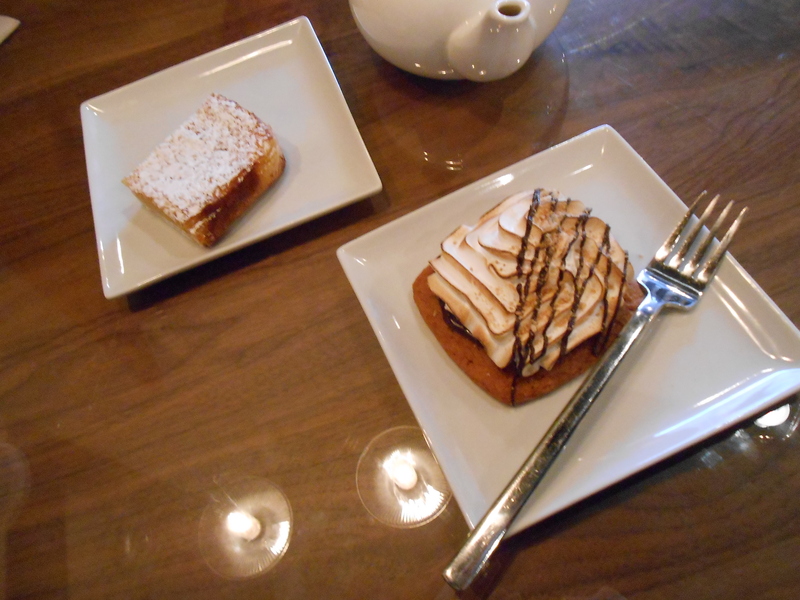 Before we left I also tried one of their s’more bars while my friend tried a lemon bar.